Elvior has released 3rd generation of TestCast MBT. TestCast MBT is model based testing tool: SUT behavior is modeled as UML state charts; structural test coverage criteria is set on the model; abstract test cases are designed and generated automatically. Tests can then be rendered into executable TTCN-3 scripts and executed on TestCast T3 tool (included into TestCast MBT bundle). First (former MOTES) and second generation of TestCast MBT used 3rd party UML tool for modeling. The third generation of TestCast MBT has built in system model editor that is harmonized with TTCN-3 data model. Tool lifts test automation provided by Elvior into next level – due to user-friendly interface and powerful TTCN-3 execution platform. TestCast MBT can be used on different application areas: from embedded systems to web testing. Martti Käärik was appointed to Elvior CTO position starting from 1.11.2015. He has been working at Elvior starting from 2003 as a software engineer and later as a senior software engineer. for creating different software testing standards. For more information please contact elvior@elvior.com. 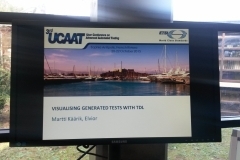 TDL was launched today at UCAAT 2015 conference. 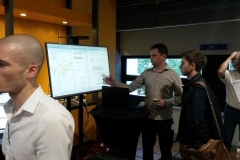 Philip Makedonski from ETSI STF 492 introduced benefits of TDL in test automation. 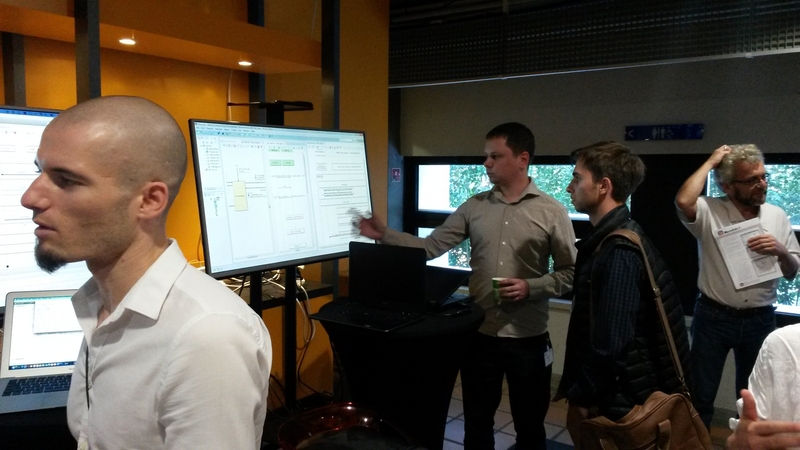 Supporting MTS members and companies gave short view about insights their plans with TDL. 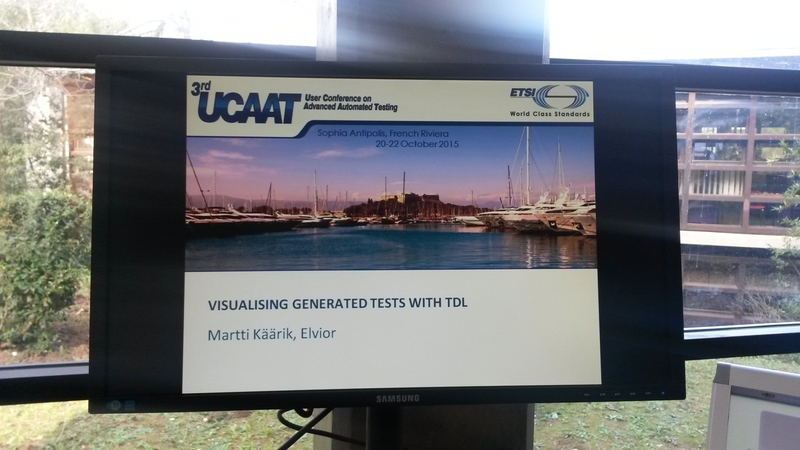 Elvior has implemented TDL viewer for TestCast MBT – the new feature was shown at conference TDL booth. Read more here. 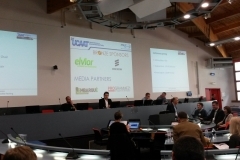 UCAAT 2015will take place at the ETSI Headquarters on 20-22 October 2015. Elvior is sponsoring the event. The conference programincludes tutorials and presentations from various test automation domains. The conference brings together practitioners from industry and experts from academia to share and exchange their latest achievements. 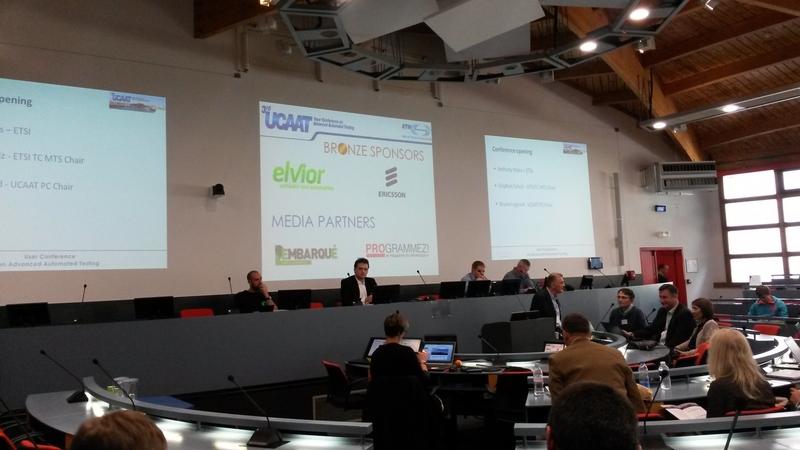 We are looking forward to meet you on UCAAT 2015! Elvior has released TestCast T3 version 6.9.0. Version 6.9.0 includes Core Language support for TTCN-3:2015 (ver. 4.7.1). New standard TTCN-3 can be downloaded from here. Learn more about new keywords and features from here. To strengthen your test automation knowledge join TTCN-3 Summer School in July 21-23 at Sophia Antipolis. EGM and Elvior will organize TTCN-3 Summer School in Sophia Antipolis. TTCN-3 Summer School is oriented for practitioners – the whole program is built up on “hands on” manner – usages of TTCN-3 concepts will be shown on actual TTCN-3 testing environment. All course participants will get top level TTCN-3 tool TestCast 3 months license for free. Workshops theoretical part will cover whole TTCN-3 syllabus and participants are ready to take TTCN-3 certification exam later. FI STAR (https://www.fi-star.eu/) conference was held on April 28th-30th, in Cyprus, Larnaca. Over 60 project partners were gathered to discuss different aspects of project evolvement. Elvior presentation (by Madis Taimre) outlined black-box testing environment and TTCN-3 usage for test automation of FI STAR enablers. New TestCast T3 release 6.8.3 is available for all TestCast users. This new version resolves issues reported by our customers and includes new features such as: – enhanced built in ASN.1 codec – new tracing features for TRI and TCI interfaces to ease bugs hunting in external TRI and TCI implementations. For complete list please refer release notes. Tallinn University of Technology and Estonian IT College. Intention of Smartlab is to increase the capability and business potential of mobile applications created by Estonian IT companies. to raise the quality and number of applications made in Estonia. Main clients of Smartlab are members of the consortium and university students. Elvior will offer its know-how in test automation and test automation tools from TestCast family (TTCN-3 and MBT tools) to SmartLab users. Elvior has released TesCast version 6.8.2. New version supports partially TTCN-3: 2015 – namely interim TTCN-3 version 4.6.2 – it includes new requirements from 3GPP community; for details see release notes. Customers can download TestCast new version from Elvior online support. Versions for Windows (.NET 3.5 and .NET4.5) and Linux are available. Elvior has released TestCast T3 version 6.8.1. New TestCast version has more efficient test executable and enhanced error handling. Version 6.8.1 includes also new features for command line tool and test session log views – all modifications serve better user experience; for details see release notes. Customers can download this new version of TestCast T3 from Elvior online support. Versions for Windows and Linux are available.